Brussels sprout were one of the vegetables I HATED as a kid. My mom loves them and would force make us try at least one when she made them. She usually steamed them in the microwave and the smell alone would make me turn up my nose. I would just shove one in my mouth, chew as quickly as possible and swallow it. Now 20 years (or so) later, I’ve learned to love them! I probably won’t ever eat them steamed, but roasting or sautéing them changes the flavor and they’re so delicious. Madeline even enjoys them and was disappointed there were no leftovers so she could have them for lunch…hmmm and this is the kid that doesn’t like pizza. Who knows?! Preheat oven to 350 degrees. Trim and cut the Brussels sprout in half. Combine the olive oil and balsamic vinegar together. 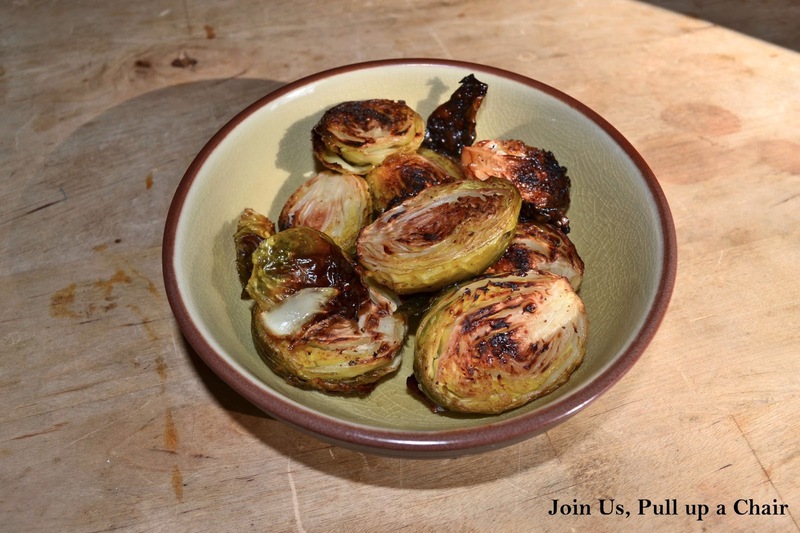 Toss the Brussels sprouts in the mixture to coat and place cut side down on a parchment lined baking sheet. Season with salt and pepper. Roast for 20 to 30 minutes or until they’re soft and light brown. The loose leaves will become extra crispy. The roasting time will be dependent on the size of our Brussels sprouts. I've got to try these. Unfortunately we can only get brussel sprouts at Christmas so I might have to wait a while. I also used to hate them as a kid but have grown to love them. I'm always up for a good brussels sprouts recipe.